A number of factors govern the accumulation and concentration of organic carbon in soil: land use management, the type of farming, vegetation, and climate (mainly temperature and rainfall); these determine the rate of carbon accumulation in and loss through soil. These governing factors are mainly associated with altitude, and in most cases, at low altitudes and at comparable altitudinal gradients, land use systems and land use management practices were dominant factors that altered variations in the accumulation of organic carbon in soil. However, at higher altitudes and in locations with considerable variation in altitudinal gradients, which may cause significant variation in climatic factors, rainfall and temperature were the dominant factors in determining organic carbon accumulation in soil. In general, land use systems (including phyto-biomass management) can mask the effects of altitudinal gradients (either significant or insignificant) on organic carbon accumulation in or loss through soil. 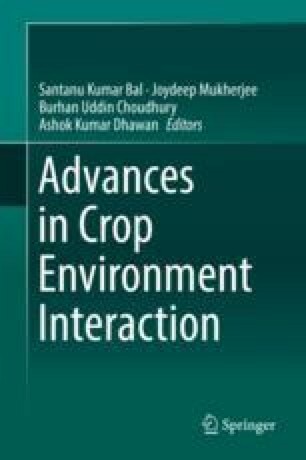 In the northeastern region of India, it can be concluded that organic carbon (concentration and stock) in soil increases consistently with increase in elevation. The processes of carbon accumulation and loss involve complex interactions of multiple factors, which are reviewed in this chapter.